Sports sock feature many new radical designs - with elite athletes in mind! * Additional Support of the Achilles tendon with a special compression band protects and prevents irritable tendons. In addition to their compression properties the new Elite socks wont slip or form creases on the leg. Utilizing superb materials and a specially designed 2 way stretch - our new Elite model goes on "easier" and does not feel as tight on the leg and foot - while still providing a medical grade 20-30mmHg graduated compression for recovery and performance . I haven't bought Mojo brand compression socks in a long time because in the past I have not been satisfied with them. I used to have a problem with them "running" (almost like hose do). I bought these to try them again since they were on sale and I must say Mojo has improved! No runs! 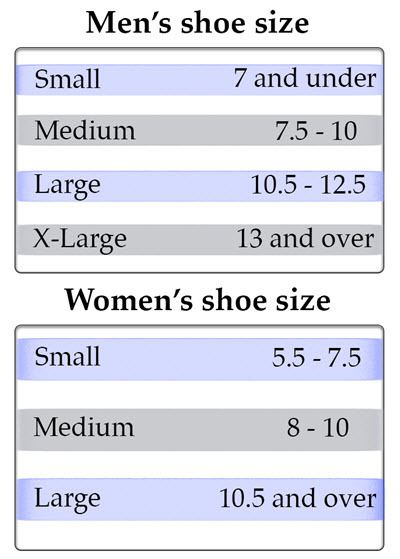 On top of that, they have lots of toe room (which is very uncommon in most compression socks) and the inner part of the sock is very soft which makes them more comfortable as well. Great fit, comfortable, easy to get on and off for a compression sock. My husband was happy with the socks. He liked the socks as well as any of the compression socks. They are difficult to put on as all of the compression socks are. Other than that he liked them. MOJO to restrictive around the top. The socks felt good except for being to tight around the top.